Relatively short par 5 still provides a tough test. 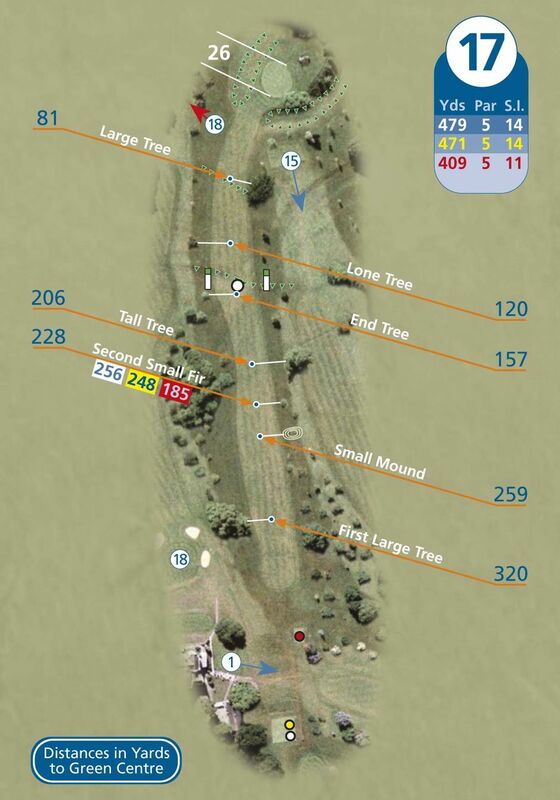 If a tree-lined fairway is found the chance maybe there for the longer hitters to go for the green. Watch out though for the two large trees guarding it. The green is surrounded by a dry moat which, if found, provides a testing chip shot onto the green, which itself is one of the most subtle on the course.